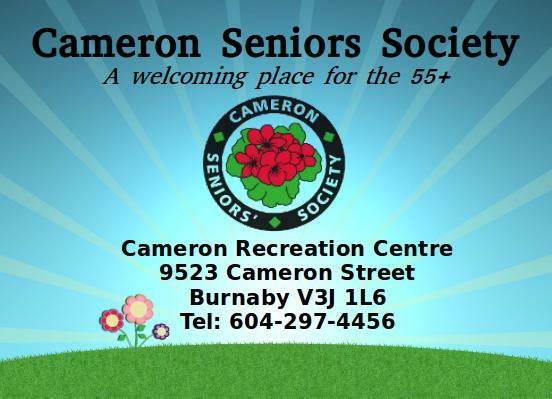 The sessions are free of charge for Cameron Seniors Society members and $3.00 for non-members. Pre-registration is required. Register at Cameron Community Office or by calling: 604-297-4456.